The Palestine Techno Park at Birzeit University recently launched the Virtual Reality/Augmented Reality Innovation Lab, which offers Palestinian students, researchers, and companies the opportunity to develop virtual and augmented reality (VR & AR) applications. The innovation lab provides VR and AR training programs and workshops, and will offer an incubation program for nascent VR and AR applications together with Palestinian universities and corporations. The Palestine Techno Park has also launched the second phase of integrated VR and AR training program, the first phase of which was launched in June of 2018 with the help of the Palestinian Market Development Programme, itself funded by the funded by the UK Department for International Development and the European Union in cooperation with the Ministry of National Economy. The second phase of the training program includes an intensive, integrated training course on VR and AR technologies for participants in Nablus and Hebron, followed by an incubation period during which the projects developed in the training course can be further expanded. The incubation period will culminate in a competition - a hackathon - in which participants present their finalized projects. The winning projects in the hackathon will be supported by the Palestine Techno Park with technological, financial, and business ideation services. The integrated training program is part of the Palestine Techno Park’s efforts to promote newly-developed VR and AR technologies in Palestine by organizing a number of courses, seminars, and workshops on the topic. The first of these workshops, “Virtual Reality and Journalism,” was held in November of 2018 with a focus on integrating VR technologies within news media reporting. 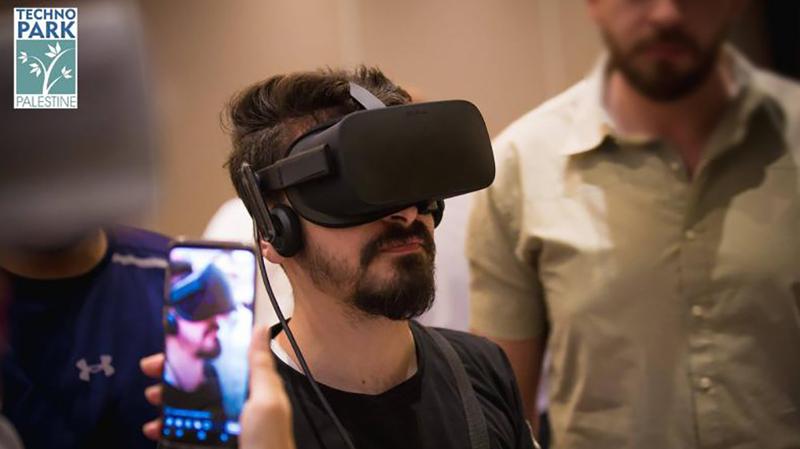 Beginning in February of 2019, the Palestine Techno Park will amplify its efforts to promote VR and AR by holding monthly workshops and courses that highlight applications of these technologies in specific fields, such as education, tourism, and medicine. Established in 2016, the Palestine Techno Park is a nonprofit organization that supports scientific institutions, entrepreneurial projects, and technology-related organizations. A member of the International Association of Science Parks and Areas of Innovation, the Palestine Techno Park is working to transition Palestine toward a knowledge-based economy and cluster local technology sectors and integrate them with global value chains.